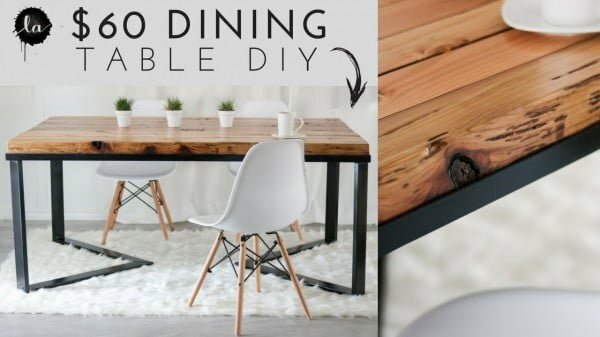 It’s time to build a DIY dining table for your kitchen or living room. Check out these 30 easy tutorials with plans to make it easy for you. You are well aware of how much a new dining table cost and how hard it is to pick the right one. After all, you don’t want to spend a small fortune on a thing that you don’t love. So making one yourself might be the ideal option, especially if you like to DIY. 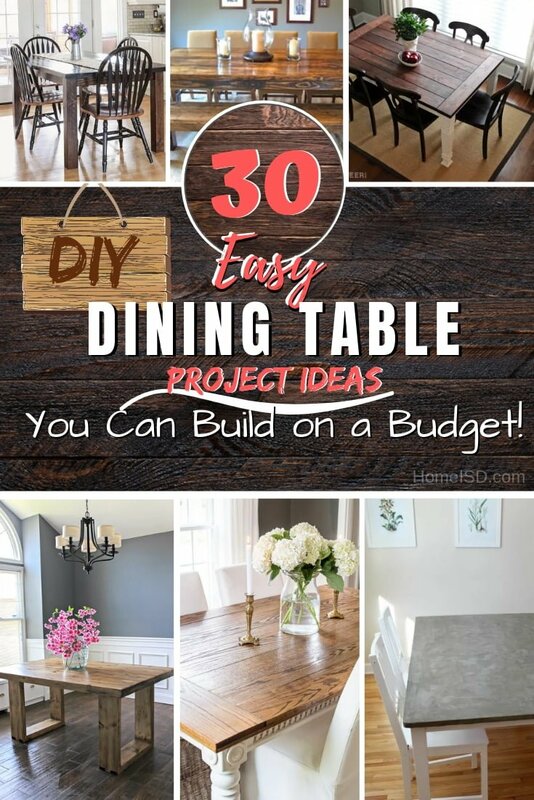 So here are 30 great tutorials and plans for a DIY dining table in many styles that you can use to make your custom homemade table. 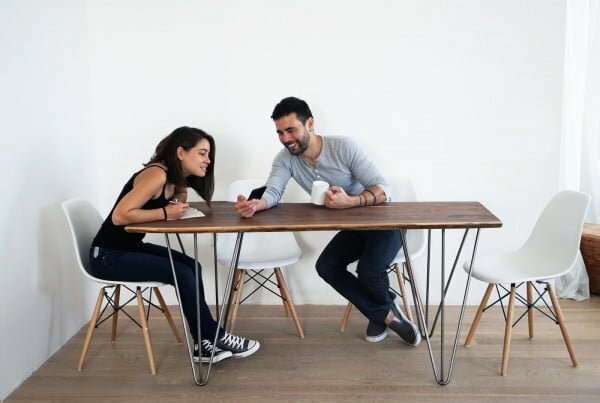 How to build a DIY husky modern dining table for $100. Modern and stylish, this dining table is sure to impress your dinner guests. Plans by Jen Woodhouse. Check out the link to get the complete details and instructions. 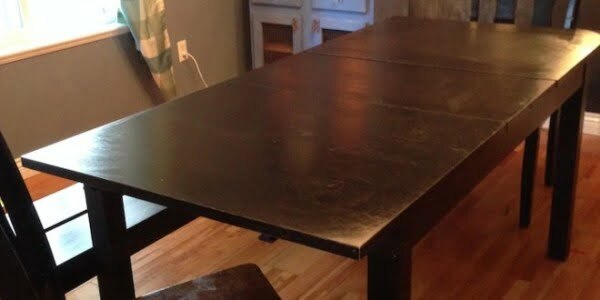 A tutorial for how to build a retrofitted table top to fit over any existing table using Minwax Dark Walnut stain. To make it at home check out the tutorial. 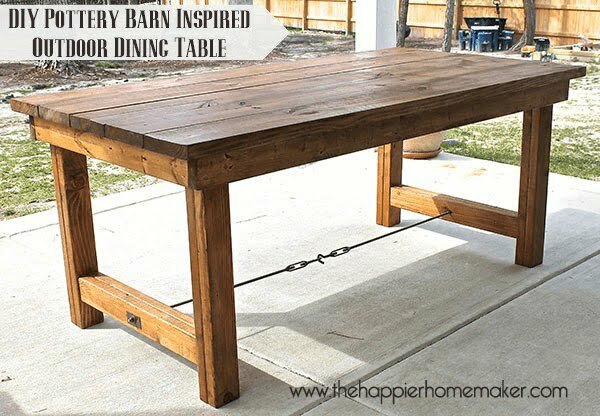 How to build a farm table with reclaimed barn wood and industrial steel pipe legs. To create it at home check out the article. 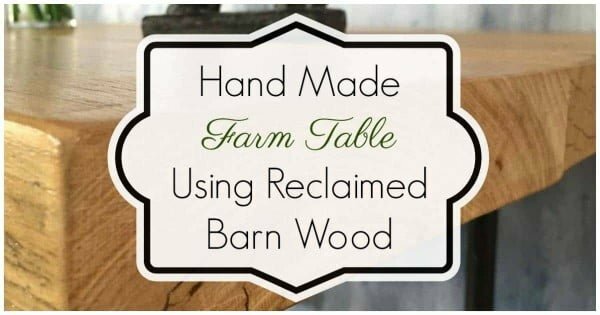 Free and easy, step-by-step plans for a beautiful DIY farmhouse table that will fit in your dining room. No woodworking experience required. Follow the tutorial to find out how to do it. How to update any tabletop with thin set concrete – follow this DIY tutorial to make a concrete table top for under $100. A great budget-friendly project. Want a dining table with a unique finish rather than just putting a stain on it? Burn the wood, and you will have an elegant and gorgeous dining table. Follow this website to learn how it’s done. 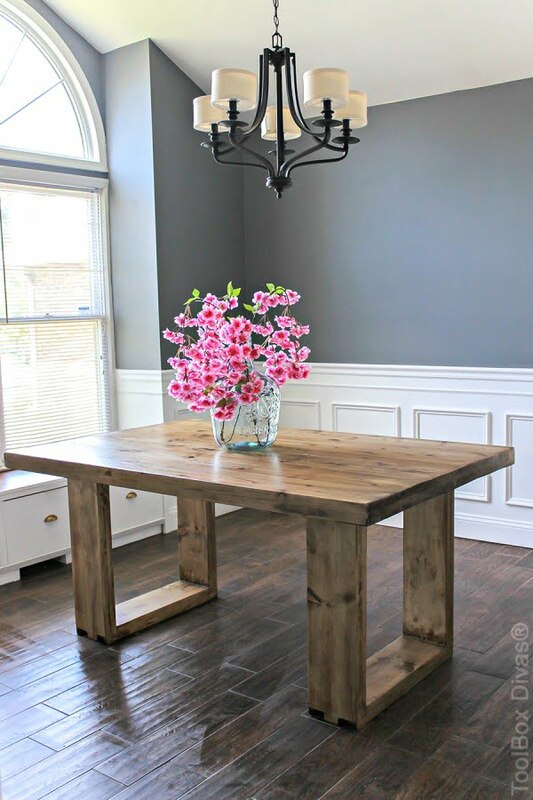 Free build plans on how to build a farmhouse table with removable legs. 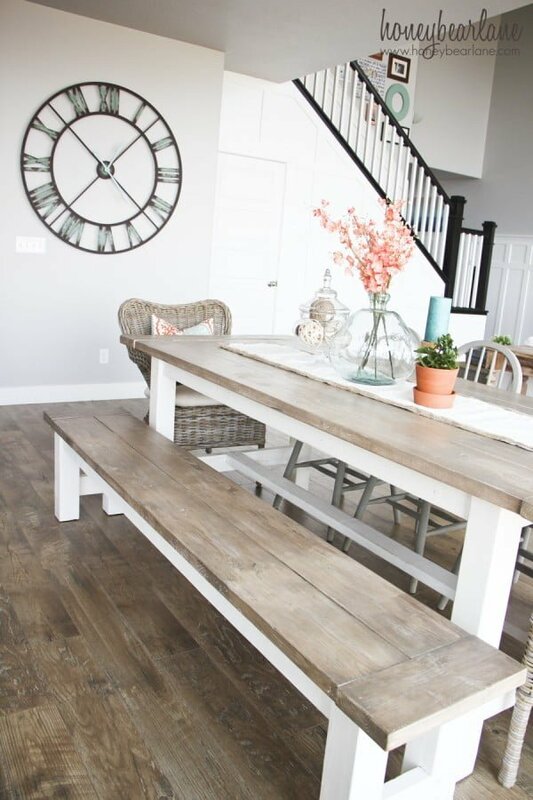 When your farmhouse table DIY has removable legs, you can quickly move it when needed. To replicate it read the article. 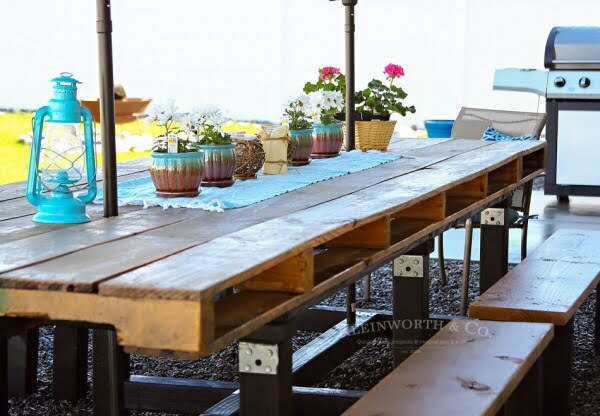 If you love pallet furniture, then you’ll want to check out this DIY Pallet Outdoor Dining Table. This is a simple weekend project using an oversized pallet. See the article for the full guidance. 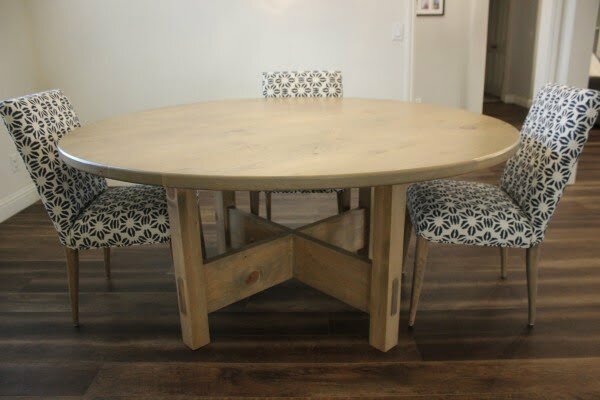 Build this great round and rustic DIY dining table to step-up your woodworking skills and replicate it the easy way. See the link to get the complete details and instructions. 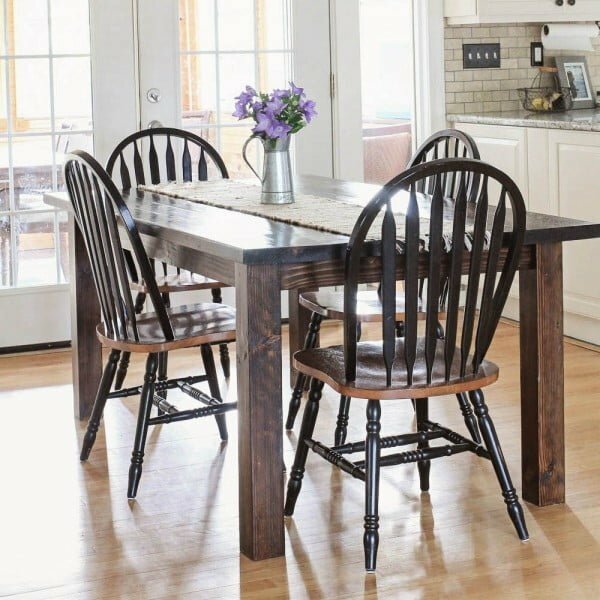 The farmhouse table – it’s a classic that’s been around for ages, built out of necessity using the same rough lumber farmers used for their barns. Check out the tutorial to see how it’s done. 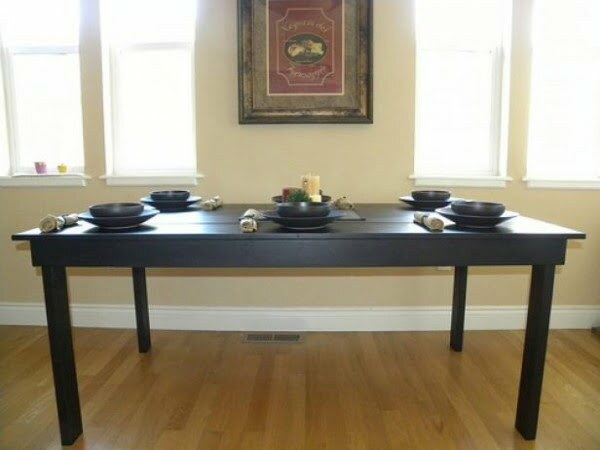 What an impressive dining table, start to finish the easy way. To replicate it at home follow the article. 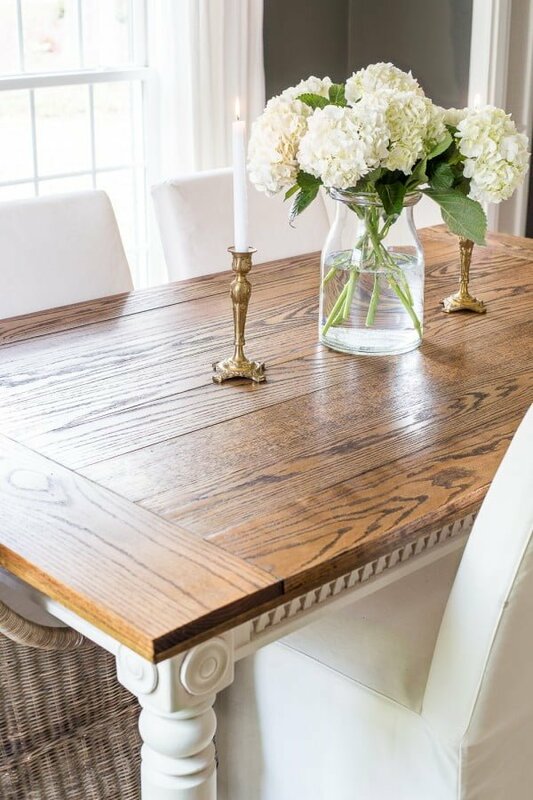 How to make a DIY farmhouse dining room table Restoration Hardware knockoff on a budget. Check out this website for the entire details. 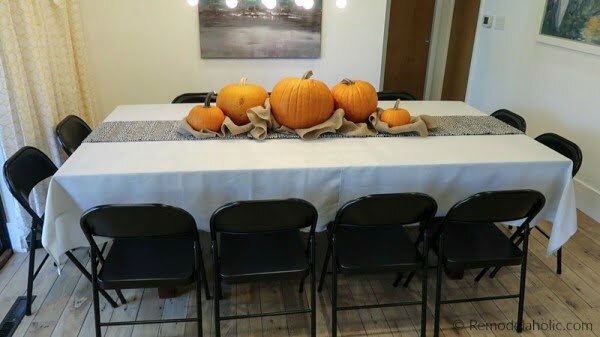 This basic black IKEA Bjurstra table is remade into a beautiful farmhouse dining table. Read this website for the full plans. 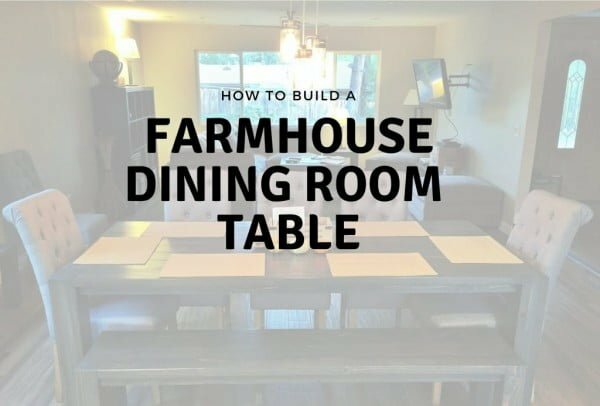 This is a great step-by-step guide to building a DIY Farmhouse table for your kitchen or dining room, complete with plans and pictures. Farmhouse style is so hot right now but who wants to pay the big bucks for a table? Build your own DIY Farmhouse Table and finish it yourself. See the link for the complete guidance. 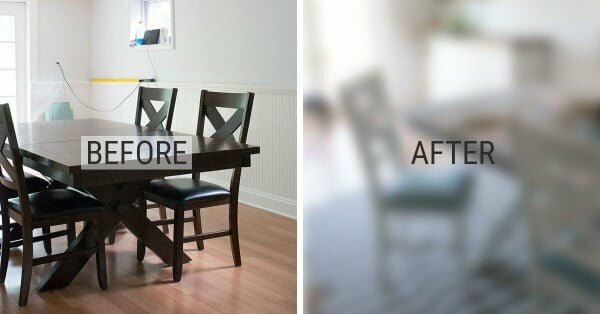 See how a dark, scuffed dining set gets a bright, beautiful new look with DIY chalk paint dining table and chairs reupholstered with IKEA curtains. Follow this website to see the full guidance and instructions. 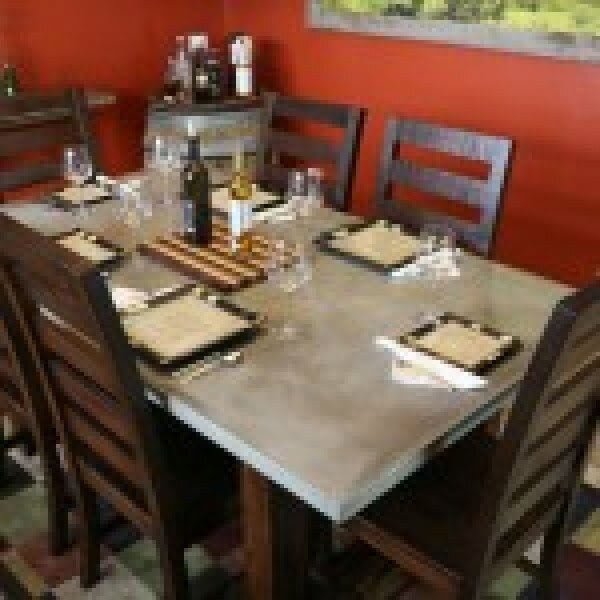 Learn how to transform a picnic table to DIY Cottage Dining Table for Under $200 by following this easy building tutorial. Check out the tutorial to see the complete plans and instructions. How do you extend a dining table that doesn’t have a leaf? 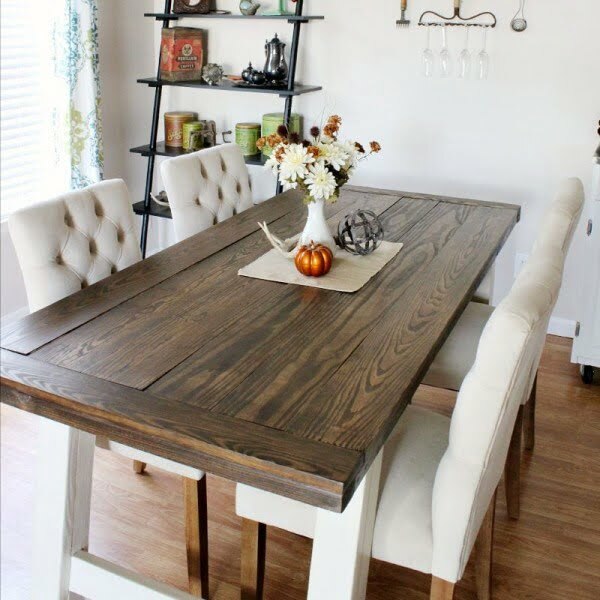 This easy DIY plywood hack will give you a bigger dining table with added serving space and seating just in time for Thanksgiving dinner, and it will only take 10 minutes and about $50. 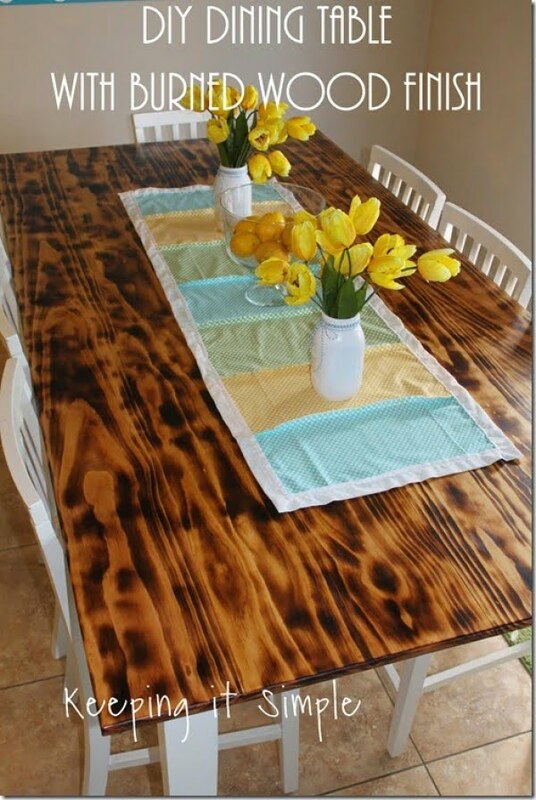 What a terrific DIY dining table made on a budget. To make it read the article. 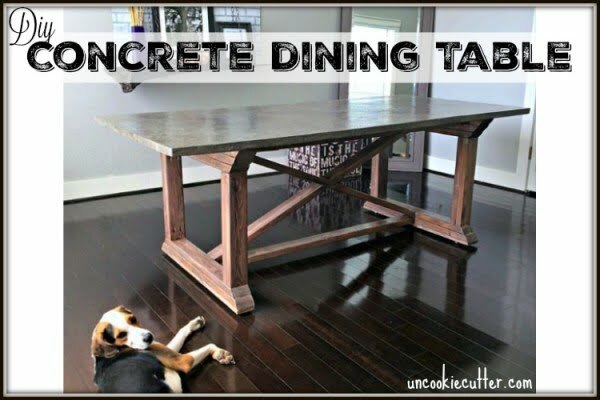 This is an excellent DIY pottery barn inspired dining table on a budget. Check out this website to see how to do it. 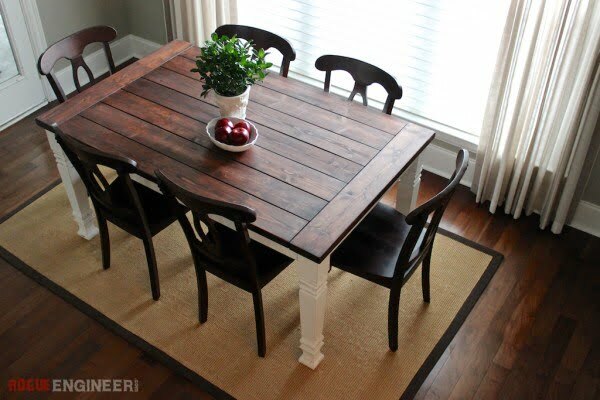 What a terrific DIY farmhouse style dining table for a simple project. Check out the link to find out how it’s done. 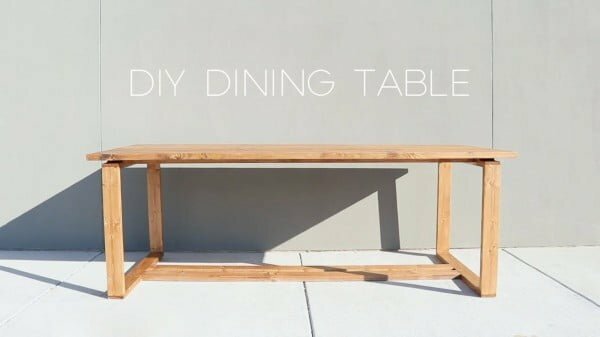 Make your own minimalist DIY Dining Table that seats 8 and has a beautiful, streamlined design. To make it follow this website. 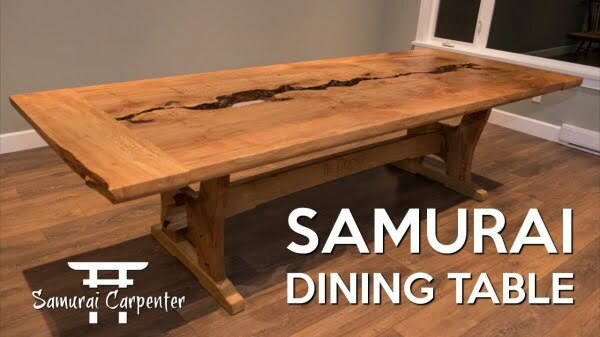 Craft your own live-edge walnut dining table with this step-by-step video and guide. Read the article for the complete guidance and instructions. Bring back the simplicity and rustic appeal of an old farmhouse with these easy-to-build plans. 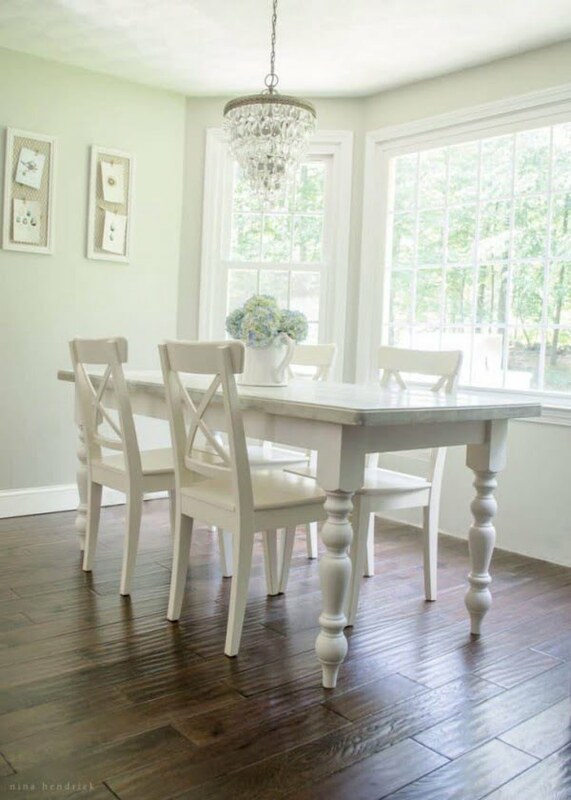 Made of solid pine, this farmhouse table will bring character and depth to any dining room. Check out the tutorial to get the full plans. 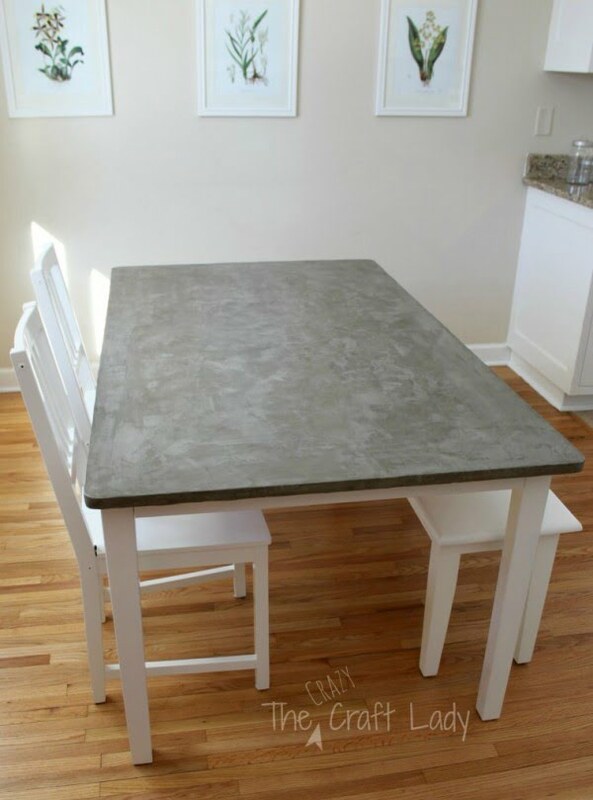 All the details on how to make a concrete dining table from scratch, even if you are a concrete newbie. To make it at home check out the article. Looking for more elbow room in your home? Smart design and well-placed hinges are all it takes to turn this piece of furniture into a slim surprise. To create it at home follow this website. 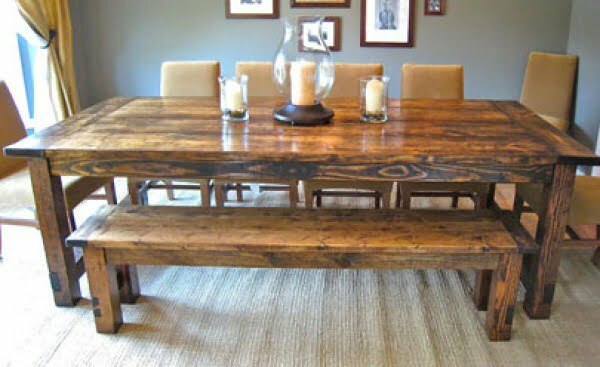 This six-seater wooden dining table has a rustic charm and style that you’ll love. To create it yourself check out this website. 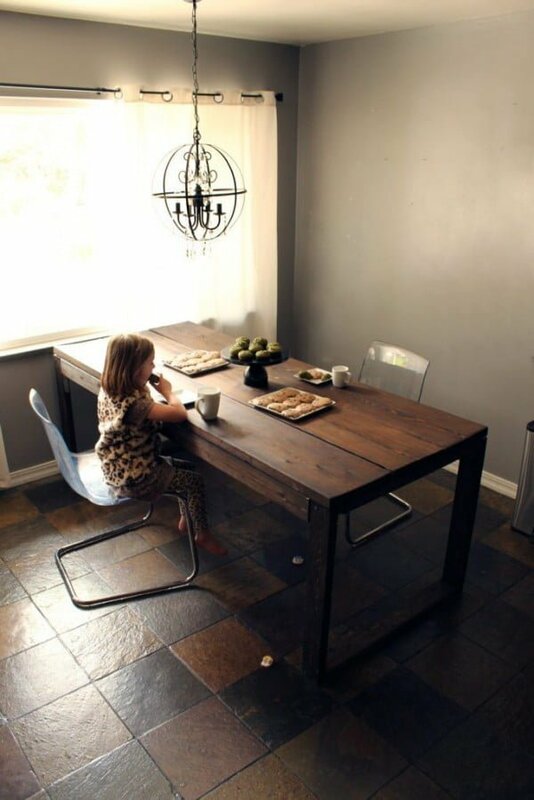 Make the DIY concrete dining table the easy way. To build it at home read the article. Use 2×4’s for the base and 2×12’s for the table top for this beautiful modern split-top dining table. To create it follow the article. 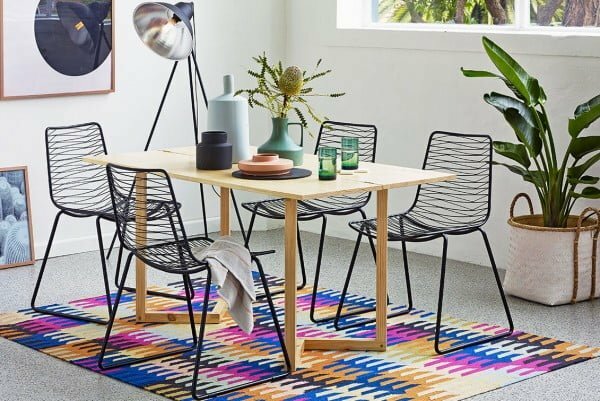 This DIY dining table only cost $57. Watch how to transform trash into treasure. To create it at home read the tutorial.